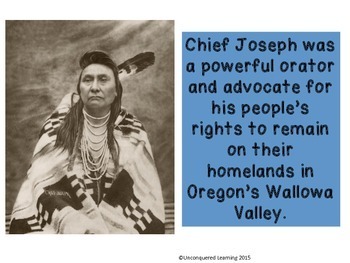 This is a 17 page file containing a brief description and information about Chief Joseph and how he led his people in a fight for freedom against U.S. troops. 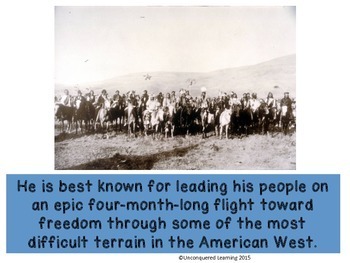 It contains pictures of Chief Joseph and maps of the trail the Nez Perce took as they fled. 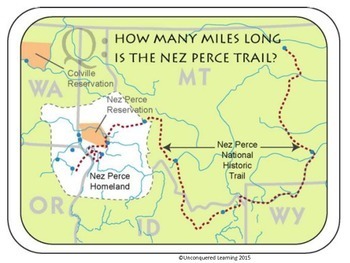 The file also contains Nez Perce and Chief Joseph resources and an activity for students to complete about salmon and the importance of salmon to the Nez Perce diet. I complete the salmon activity with my 2nd grade class a few years ago and they loved it. 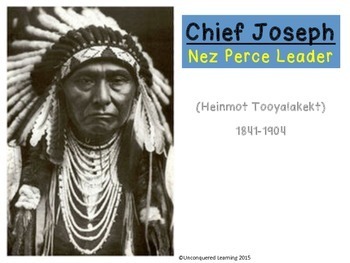 However, it can be used easily with grades 3-5.